HSP7 Set To Air on Saturdays? 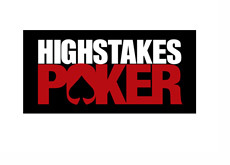 According to POKER PROductions, the seventh season of "High Stakes Poker" is set to make its debut on February 26th. POKER PROductions is the company that produces shows such as "High Stakes Poker" and "Poker After Dark", and, according to their Twitter feed, HSP 7 will be debuting on February 26th. February 26th is a Saturday, meaning that "High Stakes Poker" will be airing on a different night than in previous years (it has previously aired on Sunday nights). 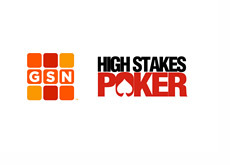 Ultimately the decision on which night of the week that High Stakes Poker will air lies with GSN, so we should probably wait for their official press release before assuming that HSP will now be airing on Saturday nights. The line-up for the seventh season of "High Stakes Poker" is going to look significantly different compared to previous years. There will not be any members of "Team Full Tilt" on the show, which means no Dwan, no Ivey and no Patrik Antonius. Daniel Negreanu, who has been a fixture on the show since its debut in January of 2006, will be appearing yet again in season 7, but only for a couple of episodes. Negreanu was busy filming commercials at the time that HSP7 was taping, and was reportedly only able to make it to the last day of taping. Other players who will be appearing this year include Jonathan Duhamel, Barry Greenstein, Doyle Brunson, Phil Galfond, Phil Laak and Andrew Robl. The Season 7 shoot was kept under wraps, meaning that we won't know the exact line-up of players until the new episodes begin airing in late February.